Fallout 76 Perk Card Matrix With All Level Requirements & S.P.E.C.I.A.L. Find all Perk Cards by their required level! Pack Rat Crack Shot Hard Bargain Thru-Hiker Can Do! Perk cards in Fallout 76 are an important part since they represent the skills of your character. There are two ways to get new perk cards in Fallout 76: You can choose a new one each time you level up and additionally, you get perk cards pack on a regular basis, each containing four random perk cards. Other than the perk cards packs the cards you get at a level up don’t seem to be random but attached to a specific level. Each level-up specific new cards are added to the list you can choose from. On level 2 e.g. you’ll always get access to Gladiator (S), Concentrated Fire (P), Lead Belly (E), Inspirational (C), First Aid (I), Action Boy/Action Girl (A) and Pharma Farma (L). Of course you can just choose one but the others stay in the list so you can pick them later if you need them. 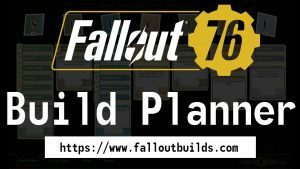 This is really good to know so that you can plan ahead your starter build (use our Fallout 76 build planner to do so!) and choose the perk cards that best fit your intended build. Also have a look at our Fallout 76 build directory where you can find lots of different build ideas.